Tipping a service provider like restaurant waiters, limo drivers, and security guards, a majority of these service industry folks receive the customary practice of getting extra money, especially when the customer is satisfied with receiving a courteous, helpful service. Even those who provide a bad service are sometimes or rarely given a tip to be consoled. 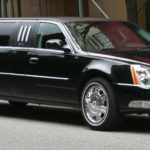 Regarding a Limo Driver, his focus is on tips, if working over than being of professional help. It is critical to understand how much you should tip a limo driver and how the industry works. 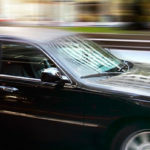 Belonging to customer service department, a limo driver or a chauffeur, he drives a car for a living and much of his time is spent receiving or leaving customers to special events or meeting important deadlines, for going or coming from an airport limo service. A professional chauffeur wanting more wads of cash needs to be working patiently, with punctuality, along paying particular attention to every single detail. The average salary for a limo driver may not be more than roughly $40,000 which varies based on the industry, clients, location, and the company the driver works for. A limo driver is estimated to make as little as $11.51 per hour, which is higher than minimum wage, but limo drivers always look to add incentives to their salary. Thinking about tipping a limo driver, first make sure to collect information from the limo rental company asking that whether gratuity or a tip has been included in the bill or not. 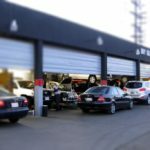 Genuinely, it is always at the customers’ discretion to tip a professional driver even if the gratuity is included in the bill, but then it all depends on the service given. 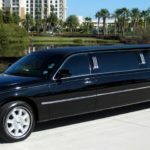 If the service is above average, then a 10% tip may be appropriate and that it should apply considering the total amount of a limousine rental. 15% should be given or is enough while the service is much better or a generous tip while you don’t care about money. The Limo drivers service offers to let a customer travel in a professionally, trusted, trained care, so it is generally up to the customers to value them with extra wads of cash so as to maintain any future relation. Otherwise, it is just business. In the changing scenario, with the internet era, the taxi car services still worked the same way they had been in the Donkey Kong age. If been a regular business customer, who would probably need a taxi to go to the airport and back, the driver was just like a barber or a dentist. So to get out of the box, a relationship was established beyond something of a controller to provide excellent service which was an ad hoc process, that involved dealing with colleagues, scraps of paper, phone numbers and then answering a suspicious voice at the other end of the call, that not felt anymore like talking to a bookie while planning business logistics needs. Many times limo service prices tend to be high as comparing to a taxi service, but the quality of rides are surprisingly different, from just travel to expensive trips. Building a network between customers and provider who agree to the company’s strict standards, it has helped both to move quickly and extensively while attending various conventions or places of choice, which validates the quality of a limo service. The technology of course has helped to store a database in collecting aggregate reviews and more requests from customers, who are willing to make a trip again. Also, a feedback is necessary which helps to remove unacceptable performance and that it makes a business grow with revenue and relationship. With many looking to book leisure trips, there are many limo service providers to be traveled with, but ultimately it’s a true worthiness of a limo service who think about a customer’s hard earned money to be never faltered upon. While going for an important business meet, relaxed, free of tension, not considering to pay for gas or unexpected repairs, there is something nice to be thought about while coming in a town car service, where one needs no figuring out on the said affairs, but that it enhances the ride. All the pay-off received so far was built through an actual relationship, after targeting a larger potential market of business travelers successfully who now have a habit of using quality limo rental car services, and the number of already exposed customers to a Limo ride had driven others to be utilizing the same which made limo rentals as the fastest growing segment in the travel industry.